What’s worse than having the cold or flu yourself? Caring for someone you love that has the cold or flu. A million things are probably running through your mind. How can I best help my family member? What if I get sick? What precautions should I be taking? Taking care of others makes it a little more complicated—but it doesn’t always have to be. Check out more information on providing care for someone that has the cold or flu, as well as information on easy remedies and tips to relieve those hard-hitting symptoms. It’s that time of year again—cold and flu season. As most of us know from experience, common colds are a leading cause of doctor visits—which also means missing work, school for your children or time with your family. On average, 150 million work days are missed for doctor appointments and recovery time. Of those 150 million days, 126 million are days that parents take to provide care for their sick children. Can you believe that? We can! Children need their parents and loved ones, especially during times of sickness. 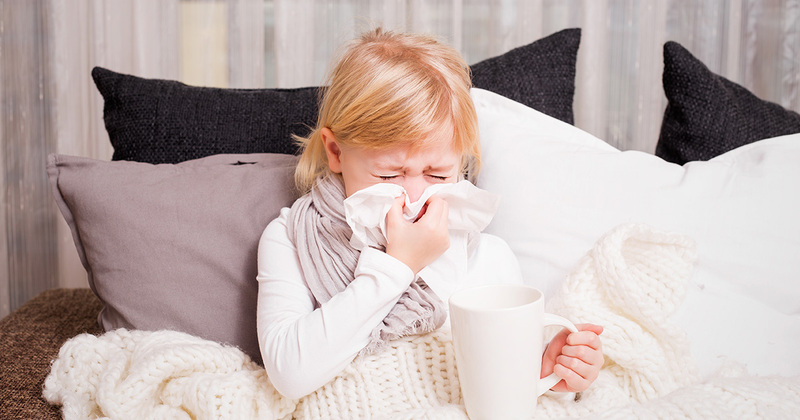 Here are some remedies to soothe your family’s cold symptoms at home. Most colds are caused by viral infections, meaning there is no immediate cure. However, there are some easy remedies and tips to help relieve symptoms and get your family members feeling better as quickly as possible . We have listed a few ways to help your family feel better. Blow their nose often, and correctly. When they are sick, it is important to blow their nose regularly, otherwise they are sniffling mucus back into your body. Not only is it important to blow your nose often, but doing it incorrectly can cause germs to spread back into your ears, causing an earache. So how should they be blowing your nose? Press a finger over one nostril, while blowing gently to clear the other one. Gargle with salt water. Gargling can help to moisten a sore throat, bringing them temporary relief. Try having them gargle with half a teaspoon of salt, dissolved in eight ounces of warm water. You can have them do this multiple times a day for relief. Take a hot, steamy shower. Nasal congestion can be one of the most frustrating things about being sick. Taking a steaming shower will help them to moisturize nasal passages, open their airways, and most importantly will help your family members to relax. Use a vapor rub. Rub a vapor rub onto your family member’s chest to help open their air passages and deal with their pesky cough, or try them on their feet! Many consumers have taken to rubbing a vapor rub onto feet instead, and they claim that it works. We’ll let you be the judge! 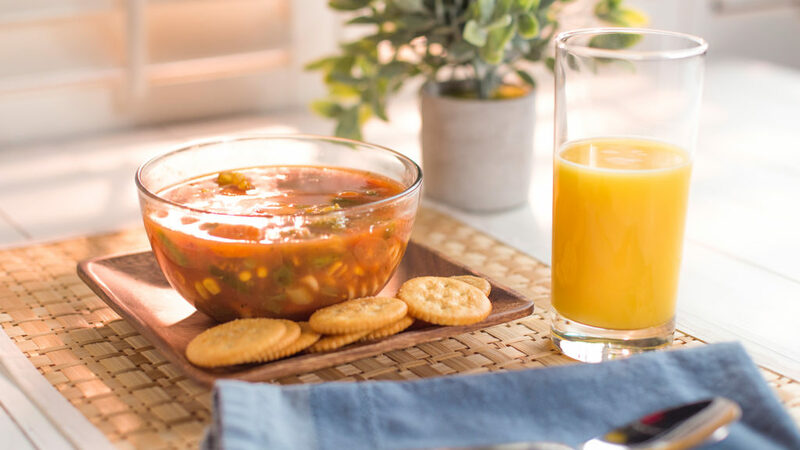 Often your family members don’t feel like eating when they are sick. They may not have an appetite, nothing sounds good, or they may not think about eating when they feel miserable – but they must. We have some ideas listed below to help when you are caring for a sick family member. Frozen Florida Orange Juice in a Mason jar: Who doesn’t love something frozen (and in a Mason jar)? Especially when your family member has a sore throat. Frozen treats are a great way to soothe their sore throat and helps to provide hydration by increasing liquid intake. Try our Frozen Florida Orange Juice. 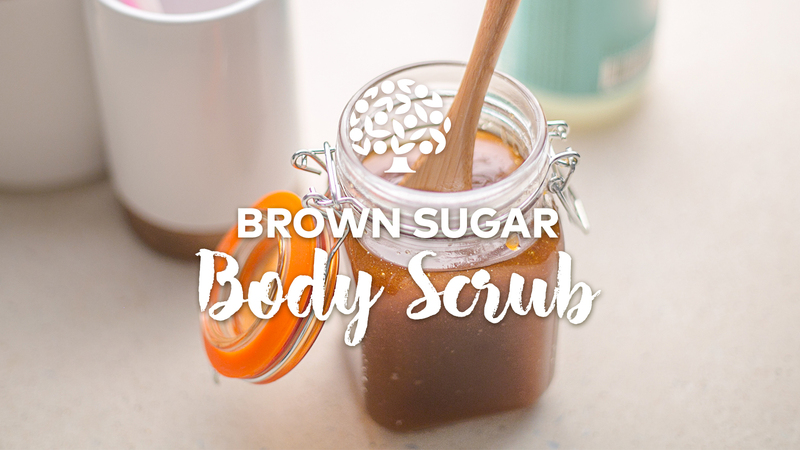 The recipe can help keep them hydrated while getting fluids to keep mucus thin and ease congestion. 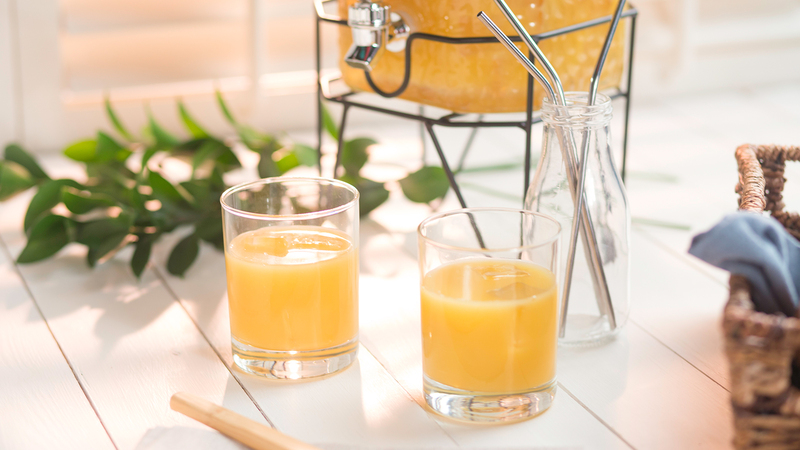 As we’ve mentioned before, Florida Orange Juice is the perfect choice to make when hydrating, and has the added bonus of immune-supporting vitamin C and other key nutrients. Chicken Noodle Soup: Chicken noodle soup is both tasty and beneficial when your family member is sick. Chicken noodle soup is a warm liquid, which may speed up the movement of mucus through their nose and aids in relieving congestion. Soups and warm liquids also limit the amount of time viruses are in contact with the lining of your nose. Less time = less irritation. Additionally, the soup provides fluids (which we’ve established that they need) and the warm broth soothes their throat. Try our Asian-Style Chicken Noodle Soup Recipe, which also has the added benefits of vitamin C and ginger! Tea: Tea is a well-known remedy for a cough and sore throat, and is delicious. Try our Orange Spiced Green Tea, and our Orange Earl Grey Tea, which may help fight inflammation and soothe your sick family member’s sore throat. You can even add ginger for added benefits! Who doesn’t love warm tea? We do, and we’re sure your family members do as well. Turmeric Boost: Turmeric, what’s that? Well, it is a spice that has been used for ages when people are fighting sickness. Turmeric may act as an anti-inflammatory, which is helpful when fighting a cold and can also be used for headache, fever, and other cold symptoms. Additionally, turmeric oil is effective against disorders of the respiratory tract, and is active in removing mucus and relieving cough. Sounds powerful to us. Try our Turmeric Boost drink.